Purchase the Wireless Flight System for the first plane, and get USB Flight Data Recorder and the Seagull Transmitter for the remaining planes. 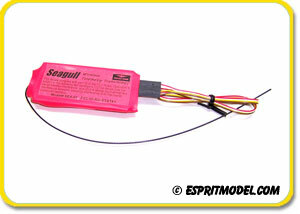 Use spare Seagull 900MHz Transmitter if you want to add wireless telemetry to multiple planes not flying at the same time with only one dashboard. Only for 900MHz Wireless Data Systems.